Get all of this in your Extra Value Meal™! Crack a smile with a lip-smackingly delicious deal. 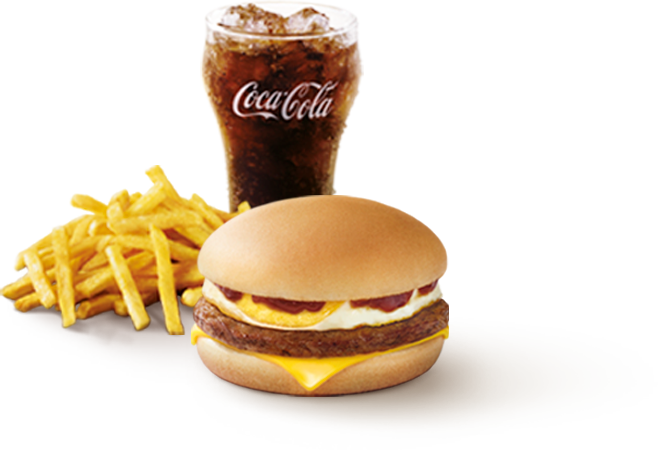 Enjoy an Extra Value Meal™ burger with an ice-cold Coca Cola® and a helping of our world-famous fries. It’s a complete meal that will make you go ooh, yes! Your daily protein fix never tasted this good. The 100% ground beef patty will leave you 100% satisfied – served on melted cheese, topped with a tender egg and finished with tangy BBQ sauce – all sandwiched between warm toasted buns. Allergen information: BBQ Beef Burger with Egg contains egg, gluten, milk, soy beans wheat and sulphites. An evergreen favourite, McChicken® has been winning fans with its wholesome great taste – crisp, tender chicken patties layered with shredded lettuce, plus just the right touch of mayo in a soft sesame bun. Just classic. Allergen information: McChicken® contains eggs, soybeans, wheat, and gluten. The catch of the day is sure a great catch at McDonald’s®. 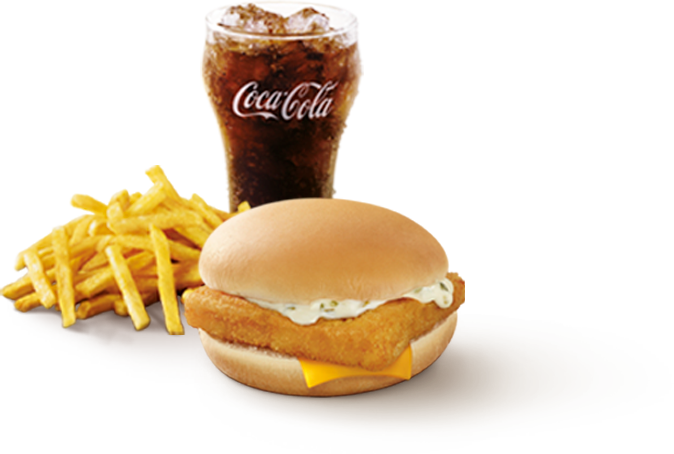 A fish fillet, topped with tangy tartar sauce and half a slice of cheese between tender steamed buns is simply pure ocean heaven. Enjoy the crunch of a delicious patty made of green peas, carrots, potato and red bell peppers, topped with crisp cucumber slices and shredded lettuce. Plus, a tinge of Veggie Crunch sauce for extra oomph. Allergen information: Veggie Crunch Burger contains eggs, soybeans, wheat, and gluten. 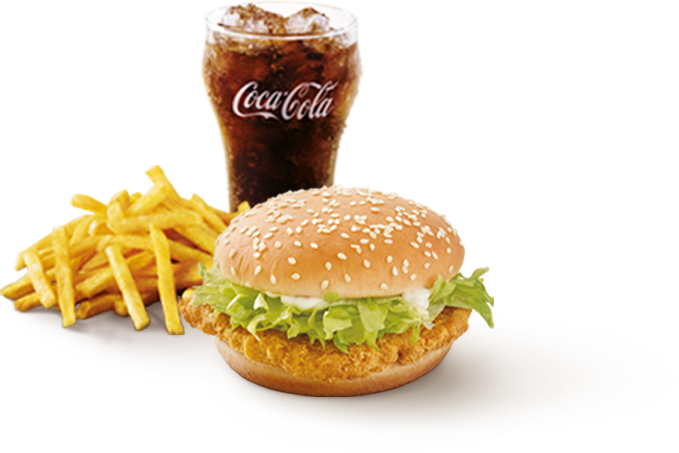 Ingredients in Veggie Crunch’s sauce include egg and garlic, neither meat nor dairy is used in the burgers. Visuals are for illustration purposes only. Available only after breakfast hours and while stocks last. 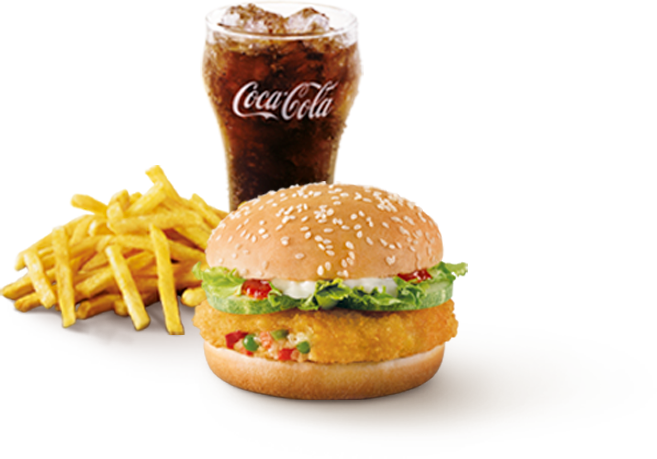 $5 Extra Value Meal™ price includes Coca-Cola® (S) and French Fries (M). Prices of Extra Value Meal™ may vary depending on choice of drinks or sides. 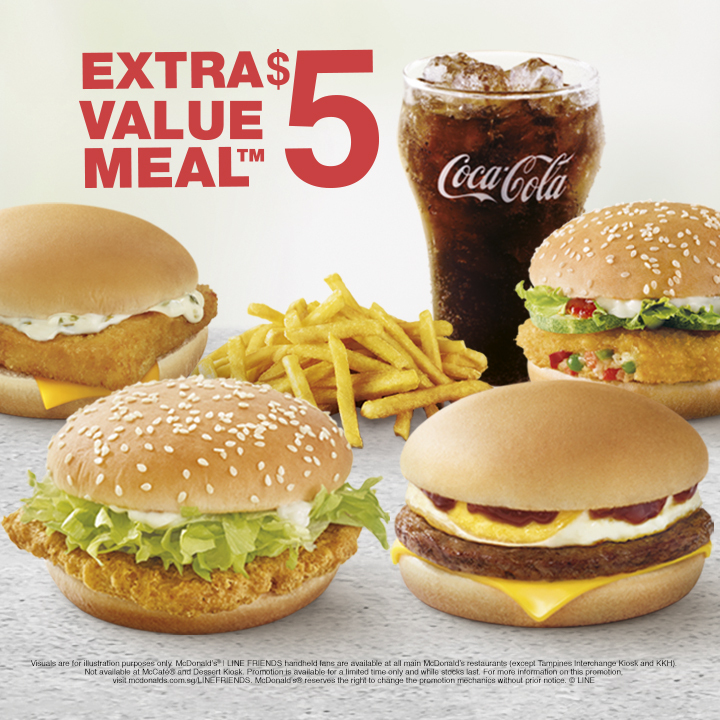 $5 Extra Value Meal™ is not available via McDelivery®, or at Gardens by the Bay, iFly Singapore, LIDO, Resorts World Sentosa, Science Centre Singapore, NUS, NTU, Temasek Polytechnic and Singapore Polytechnic. Terms and conditions apply.